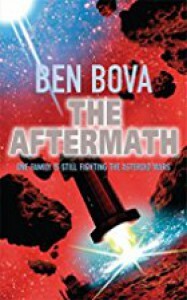 The fourth book in the Asteroid Wars picks up after the third, where the Zacharias family ends up fighting for their lives after their ship, the Syracuse, is attacked by Dorn, who has changed after his exposure to an artifact found in the third book. The mother and her two kids are left stranded on the ship and drifting basically in orbit for many months while the father, who narrowly escaped in an attempt to lure Dorn away from his family, must deal with first the knowledge that his family is lost and possibly gone, then the realization that they may be alive as he discovers Dorn's plan to claim all the bodies from the previous conflicts, and an eventual rendezvous with the Zacharias family again. This one is not as good as the previous Asteroid War books, but still an enjoyable read in Bova's Grand Tour stage.